Sales per square foot is one of the best metrics you can use for gauging the performance of your brick-and-mortar stores. It tells you how efficient you are with your use of space and can give insights for improving store layout, merchandising, staff performance, and more. In this post, we’ll take a closer look at this important metric and offer pointers on how you can maximize retail sales per square foot in your stores. What is sales per square foot and how do you measure it? $1,000,000 / 1,800 sq. ft. = $555 per square ft. When calculating a store’s sales per square ft., don’t forget to exclude the non-selling areas of the shop, such as stock rooms or receiving areas. How do you increase sales per square foot? Now that you have a basic understanding of sales per square footage and how to measure it, let’s talk about how you can maximize sales per square foot in your stores. If your store’s sales per square footage isn’t as high as you’d like, consider optimizing your shop’s layout. Start by de-cluttering the store. Spaces that appear messy or crowded can drive people away, and they make it difficult for shoppers to find what they need. That’s why it’s important to stay on top of tidying up. Instruct your staff to straighten out untidy areas and ensure that items are always in their proper place. Walk around your store and identify things that aren’t helping sales. Perhaps some fixtures need to be moved, or you need to make better use of signage. Also, pay attention to how traffic flows in the location. Are some items or fixtures in the way? Are you placing your best products in areas where people will actually look at them? One example of a retailer that effectively improved its layout is apparel store Express. In 2015, Express decided to switch up the placement of sale items in its stores. Rather than having them at the front, Express moved the items to the back and kept its full-priced merchandise in the front part of the store. The result? The retailer saw an increase in sales, comparable sales, and margins. See if you can do something similar in your stores. Take a data-driven approach to how you re-merchandise or rearrange your store. Use retail analytics software to measure foot traffic and keep a close eye on product sales. Such data points will help you decide how to arrange your shop or where to put products. Don’t waste precious floor space on products that aren’t selling. Keep an eye on your sales and product data and use those insights to make decisions on your product assortments. Generate reports for certain time periods (i.e., monthly, weekly, hourly), so you can figure out when customers are buying from you. From there, you can drill down on what they’re purchasing, and then stock up accordingly. That’s what Adrienne Wiley, Owner & Operator of chic fashion boutique Covet, did in her business. Adrienne looked at her store analytics then derived insights on which products to carry in her locations, as well as how and when to sell them. “I actually determined what I should be stocking more of in my new location based on sales by category and then fine-tuned the hours by looking at the sales by hour,” she said. Doing this helped her improve how she ran her stores, and she’s advising other retailers to do the same. See if there’s anything in your pricing strategy that can improve sales. Changes such as ending prices with the number 9 or introducing tiered pricing can make a difference in sales, so consider testing such strategies when pricing your products. The same goes for your promotions. Test different types of offers and discounts to see what brings in sales (without cutting too much into your margins). There are, of course, various types of promotional tactics including BOGO offers, free gifts, loss leaders, and more. The only way to figure out what’s right for you is to test various actions, measure the results, and make changes if necessary. Electronics and jewelry stores always have high sales per square ft. thanks to their big-ticket items. People spend more with these retailers simply because their products cost more. Upselling and cross-selling are two of the most common (and useful) tactics for increasing transaction value, and ultimately sales per square foot. As a refresher, upselling entails marketing a pricier version of the product that the customer is looking to buy. Think of it as selling an upgrade. If you’re selling a car, for example, upselling would be convincing the customer to purchase a higher model of the same vehicle. Cross-selling, on the other hand, means selling items that complement the product that customer is purchasing. So, if they’re buying a purse, you could recommend a matching wallet. Done right, upselling and cross-selling can help add value to the purchase. But if you do it wrong, you could come off as being pushy and miss out on the sale. That’s why it’s important to get a good read on the customer as well as to have sufficient product knowledge before you attempt to upsell or cross-sell. Set up a loyalty program that not only encourages customers to shop at your stores but also entices to spend more and come back. Points (or dollars) per purchase – This program is one of the simplest to implement. All it means is customers earn a certain number of points or dollars for each purchase, which they can then redeem in the future. Membership programs – With this format, customers pay a membership fee in exchange for exclusive perks and discounts. Amazon Prime is one of the best examples of this type of loyalty program. Tiered format – This loyalty program different levels, and the perks that members get will depend on their tier. The higher the level, the better the rewards. The budget of your customers directly affects the size of their transactions. That’s why if you can find a way to make shopping at your store more “budget-friendly,” you could potentially encourage them to spend more. One way to do this is to offer flexible payment options such as lay-by or installments. If you’re not a fan of not getting paid in full, consider using a solution like Afterpay, a “buy now pay later” solution that allows you to receive payment for purchased items upfront while letting your customers pay in four fortnightly installments. It’s interest-free, and when paid on time there are no extra costs for your customers. We’ve talked about the importance of retail staff training and motivation time and time again, for a good reason: store employees can directly impact sales and customer satisfaction. Without great employees, your store performance will likely suffer. Educating them on sales tactics such as upselling, suggestive selling, etc. Attracting more visitors to your retail location can also lead to an increase in sales per square foot. Remember that while people like to browse or shop around online, many shoppers prefer to complete the purchase offline — particularly when it comes to categories such as apparel and cosmetics. That’s why it’s essential to have a solid digital marketing strategy that puts your store and products in front of the right online audiences. “One thing modern retailers can do to increase sales per square foot in their physical stores is to bring people in-store from online by adopting a genuine omnichannel strategy,” says Matt Warren, CEO at Veeqo. On a related note, part of having a digital retail strategy is offering click-and-collect, a service that lets customers buy online and pick up their items in-store. If you’re already offering the service (and you totally should), find ways to get shoppers to look around while they’re in your store. Accomplishing isn’t likely to be an uphill battle, because it turns out, many click-and-collect shoppers end up buying more products in the store while they’re there. Research has shown about 45% of those who have opted for in-store pickup bought something else during their trip to the store. Needless to say, the more people who walk into your store, the more potential sales you can have. And the longer people stay in your location, the higher the chances that they’ll make a purchase. As we mentioned in our previous post, retailers who encourage customers to stick around in-store have seen a 20-40% increase in sales. Make an effort to improve the in-store experience. One strategy that seems to be working well for retailers is holding community-based events. Lululemon, for example, has found success in holding free yoga classes during slow business hours to drive traffic in-store. Then there are retailers who are being more creative with their spaces. Take Staples, which started offering office space in its locations. The office supplies retailer has partnered up with co-working services provider Workbar to convert some areas of its stores into workspaces. While our article is chiefly about sales per square, it’s important to note that this metric is not the ultimate measure of retail success. “I’d argue that retailers attempting to increase sales per square foot are chasing the wrong thing,” says Ray Riley, CEO at Progress Retail. Install a foot traffic system and analyze it weekly, and then year over year. Is the store properly staffed during high-peak times? Is the product merchandised clearly, and is the store easy to navigate? Do you have a sales management system and process that is executed on the sales floor? Do you have a learning management or sales enablement system that can reach every member of the team with education in sales, brand, and product? This way they aren’t reliant on the capacity of their manager. Do your front-line managers have to manage conversion rate, average transaction value, and items per transaction? Here’s another reason why sales per square foot shouldn’t be your definitive metric for success: consumers today are increasingly using multiple channels to shop, and you need a handle on how your physical presence influences your ecommerce sales (and vice versa). Crediting sales to a single channel isn’t enough when people are interacting with your brand in many different ways and places. While it’s tricky to measure the impact of offline retail on ecommerce, one thing you could do is look at your ecommerce analytics and see how much traffic or revenues are generated from locations where you have a brick-and-mortar presence. Sales per sqare foot is just the beginning! 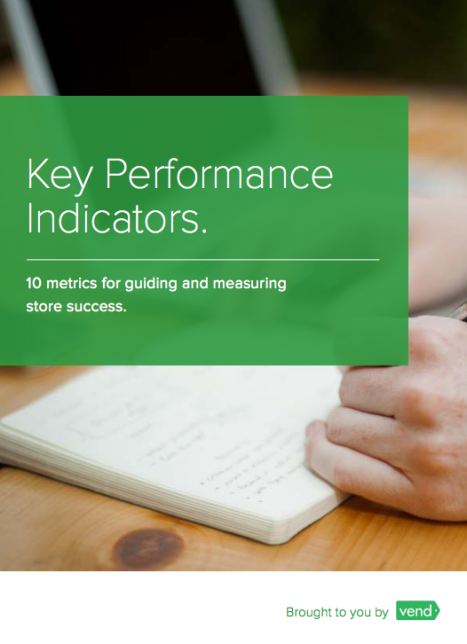 To learn more about critical retail metrics, download Vend’s Retail KPIs guide, a resource that gives you a deep look at the numbers you should be tracking in your business. Sales per square foot is an important metric, and it will continue to be significant in the next few years. Measure it on a regular basis, but don’t make it the only metric on your radar. A lot of people in the the retail industry must be looking for such tips. There’s big names like Converse, IKEA, etc. Good Article.To date, AR is actively being introduced into many areas of business and science. In addition, there are constantly appearing an increasing number of devices using this technology. The technology of augmented reality can increase brand recognition, its interaction with the product, and improve the overall impression that it produces.